Being it is Easter Sunday we thought it might be nice to list all the Rincon Tourism Association Restaurants. We believe they are all serving today but numbers are listed so give them a call before you go. Enjoy your Easter Rincon Vacation in your Rincon Apartment Rental. Tourism Association Members offer The Best of Rincon Dining! Serving café-acai bowls-smoothies-salads-breakfast-light bites. Our coffee is fair trade, single origin, local, and organic. For our smoothies and food we get a lot of our products from local farmers. We aim to stay strongly involved in the growth in our local food system. Our Baristas are highly skilled. They prepare and serve espresso-based coffee drinks. From a cultural standpoint, we serve as centers of social interaction. We provide social members with a place to talk, write, read, entertain one another, or pass the time, whether individually or in small groups of two or three people. We serve as an informal club for our regular members. One of Puerto Rico's leading luxury resorts! 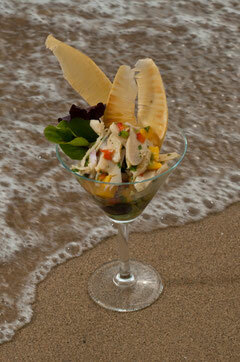 Brasas Restaurant offers contemporary Caribbean cuisine accompanied by signature fresh fruit sauces. One of the most unique and interesting Resort Hotels in Puerto Rico. An intimate, four star ocean front, boutique resort hotel located at Almirante Beach on the Western Coast of Puerto Rico, near the sleepy town of Rincon, where surfers enjoy world class surfing. Welcome to Das Alpen Café in Rincón, Puerto Rico, where authentic German and Italian cooking is our specialty. 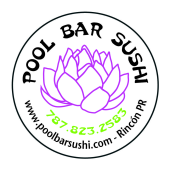 We are located in the town center of Rincon and offer great food with all natural ingredients. Our dishes are recipes we grew up enjoying, still prepared in the classic style. Portion sizes, as expected, are generous. For lunch, we offer the best hamburgers in town and great chicken kabobs - "pinchos". We also have sandwiches and salads. Weekdays Sunset Happy Hour featuring rum drinks, house wines and beers. We have kareoke and live music. Call for details. You can enjoy in a stool around the bar, in the nearby tables or just enjoy your order on the beach. Ask for a "Bruja Negra"... another signature drink. A locally sourced, Caribbean inspired menu that wll change frequently as availability and freshness of ingredients vary throughout the year, highlighting Chef Crespo's culinary skills in each flavorful, fabulous dish. Click here for a sample menu. Open daily for breakfast and dinner. The sea... you... and the mystery of Cofresí. Find your Treasure in Villa Cofresí Hotel & Restaurant in Rincón Puerto Rico. Hotel Villa Cofresí is located on the gorgeous Rincón beach on the West Coast of Puerto Rico - with pool, restaurant, bar-by-the-sea and breathtaking views and sunsets. The management team of Casa Isleña Restaurant has proudly taken over the the historic Black Eagle Restaurant, rechristening it "La Copa Llena". Located right on the ocean, people have been enjoying the sunsets from the Black Eagle deck since the 1970's. The combination of Chef Brendan Basham'scuisine, Casa Isleña's charm, and the view of the waves, whales, and sunsets, provides a singular Rincón dining experience. Our menu includes some of our old favorites such as the char-grilled octopus w/ heirloom beans and papaya salad, and introduced some incredible new dishes like poké (yellowfin tuna, avocado, and seaweed), coconut steamed mussels w/ homemade chorizo and fresh herbs, and a 20 oz. t-bone steak with flageolet-corn succotash and a yukon-parsnip mash. As always, the menu tends to change upon the availability of ingredients, keeping the chef creative and our guests surprised. From your seat at the Lazy Parrot Inn’s poolside bar, you can watch as Pizza Chef Gaby Carrero creates his gourmet pizzas using fresh dough and homemade marinara sauce. The specially designed Italian brick oven ensures, with Gaby’s touch, a thin, light crust that complements the fresh ingredients, flavors, and textures that are his signature. A traditional favorite, The Queen’s (cherry tomatoes, fresh basil and mozzarella) and Emmy’s White (ricotta, romano and mozzarella) as well as Pesto and Tres Carnes pizzas are a sampling of the menu offering Italian inspired fare. Experienced mixologist and bartender, Johnny Gonzalez creates delicious original and classic cocktails using seasonal fresh fruits and ingredients. 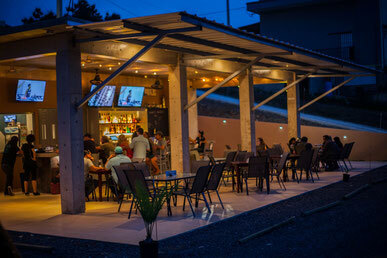 He may suggest house made mojitos and sangrias, craft beers on draft, wines and non-alcoholic cocktails for any food pairing that will satisfy your taste buds. Open all day, every day, 11:30am – 10:00pm. Bar is open until 11:00pm. Experience a brick oven eatery at Mi Familias Pizzeria, a rustic, sophisticated and relaxed environment. Located on the plaza in downtown Rincon. Pancho Villa's offers a variety of Mexican food, tacos, burritos, flautas and more! Save room for dessert...their fried cheesecake drizzled with caramel, chocolate or strawberry sauce is to die for! Lots of atmosphere....it is a don't miss lunch or dinner! Located right on the Beach at Parador Villa Antonio! Relaxing and fun beachfront bar and grill with the most beautiful sunset views in Rincon, Puerto Rico. Wine & Spirits. Exquisite food by Chef Roberto Ruiz. on the 20' tall BIG SCREEN every night!!! Dinner nightly at 5pm, closed Tuesdays. Now open for lunch, December thru March, Wednesday through Sunday. Rincon's newest and freshest restaurant right next to the marina. Come experience home-style, international cuisine for lunch and dinner in a tropical outdoor setting.The perfect place for the whole family to enjoy with happy hour as well as daily food and drink specials. Don't miss the Sunday pig roast, Puerto Rico style. The Tamboo Seaside Grill offers the best in American and Caribbean cooking. Our menu is based on what's market fresh & the catch of the day. We have combined our experience with traditional Puerto Rican cuisine & American light cooking - a tropical menu simple but rich in flavors. At the Seaside Grill you eat "Al Fresco" under blue skies & palm trees, in a casual & relaxing atmosphere. It's Rincon at it's best. Our Beach Boutique & Gift Shop has a unique collection of swimsuits, island wear and local arts and crafts for your collection, or to take home as gifts.